RevoLix is the only laser specifically developed for soft tissue surgery. The RevoLix laser wavelength is 2 micron. This wavelength is similar to Holmium but the emission is continuous instead of pulsed. RevoLix unifies the advantages of formerly existing surgical laser principles into a single unit. LISA laser products developed the RevoLix Thulium laser and applications in soft tissue surgery on the grounds of its understanding of laser tissue interaction and the LISA competence in laser technology. 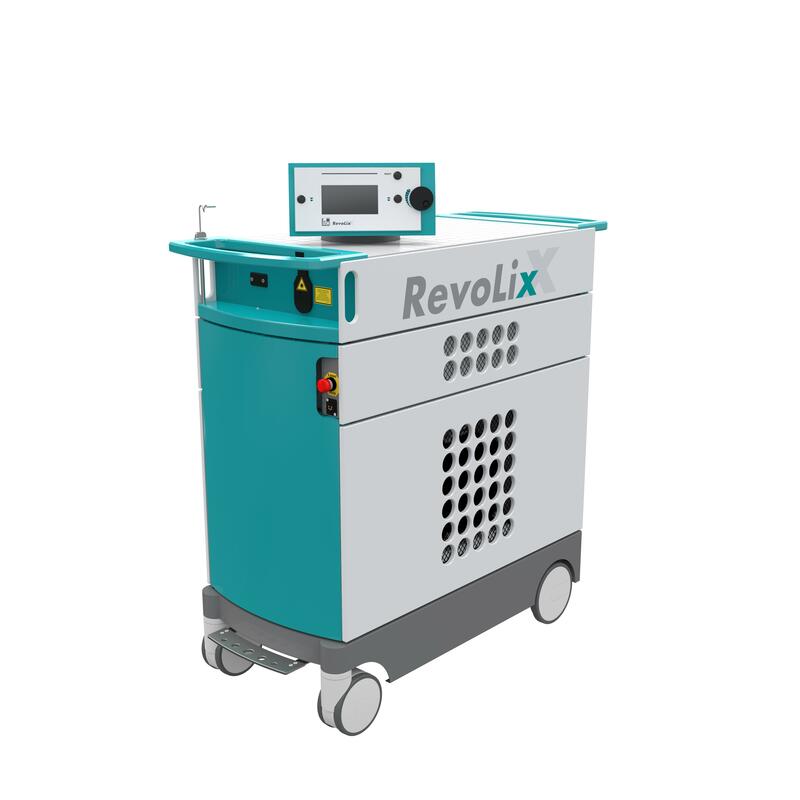 The RevoLix Thulium laser is the only laser system ever developed specifically for soft tissue surgery. The RevoLix laser wavelength is 2 micron. This wavelength is absorbed in any tissue by the ubiquitous water molecule. The RevoLix wavelength is similar to Holmium but the emission mode is continuous wave (CW) instead of pulsed – thus providing a continuous vaporization effect instead of tissue disruption as for the Holmium laser. The strong absorption of the RevoLix wavelength in tissue, in any irrigation fluid and in water provides the immediate tissue effect, limited penetration, excellent haemostasis and protection against collateral damage. RevoLix unifies the advantages of formerly existing surgical laser principles in a single unit. At 200 watt continuous wave the RevoLix tissue vaporization rate reaches 4 g/min – a safe alternative to mechanical tissue morcellation following Thulium laser enucleation of prostate (ThuLEP, ThuVEP). RevoLix is a multi-disciplinary surgical laser for the application in urology (surgical protocols for the treatment of BPH include vaporization (ThuVAP), vaporesection (ThuVARP), enucleation (ThuLEP) and vapoenucleation (ThuVEP) of prostate – histology available), gynaecology, neurosurgery*, ENT and pneumology.